One can measure the true success of a sports club by the accomplishments of its members. And, just as importantly, one can discern the character of a club by the mettle of its graduates once removed from the comforts and familiarity of their teammates and coaches. Can they be standouts at higher levels and in other fields? Will they display the leadership, character and athletic prowess to take their game to the next level? 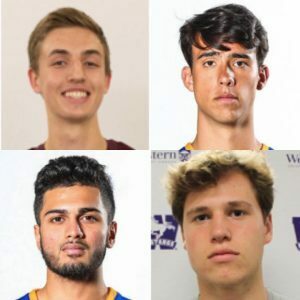 Pakmen Volleyball Club graduates have been checking all the boxes for more than a decade and the 2018-19 season has been exceptionally bountiful. The names of Pakmen graduates were regularly featured in early March on college and university all-star teams across the country. After all the medals were distributed, 26 Pakmen graduates were either named to an all-star team, captured a championship medal, or both. One year removed from the Pakmen program, Xander Ketrzynski won every individual honor available as a member of the Ryerson Rams. 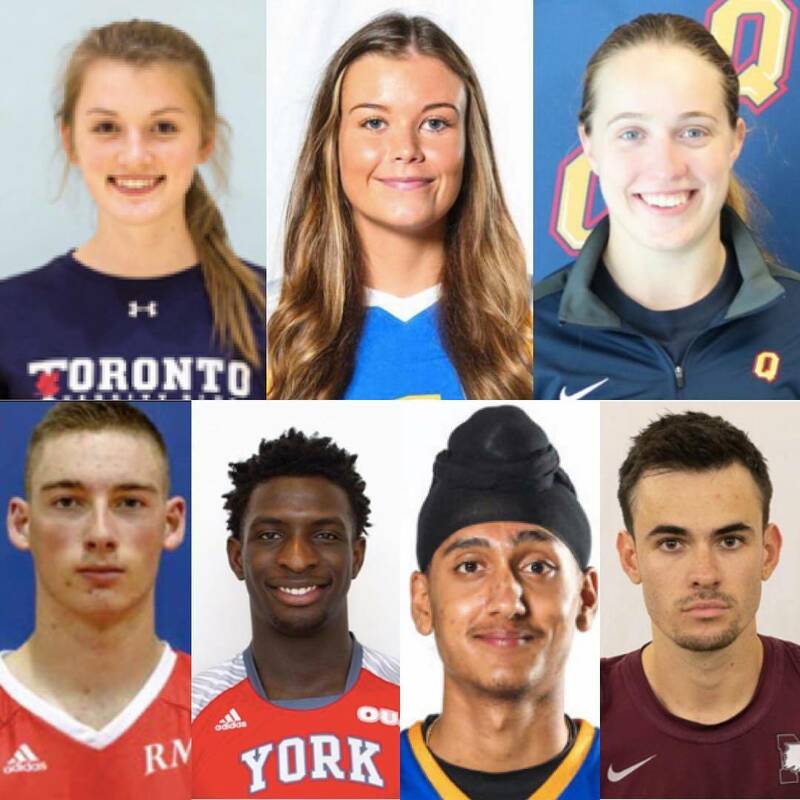 Ketrzynski dominated OUA (Ontario University Athletics) play and was honored by being named an OUA East First Team All-Star, Rookie of the Year, Player of the Year, named to the All-Rookie Team, as well as being named USports Rookie of the Year. While Ketrzynski is just beginning to create a stir at the post secondary level, brothers Chris and Dale Towe are graduating after sensational collegiate careers. 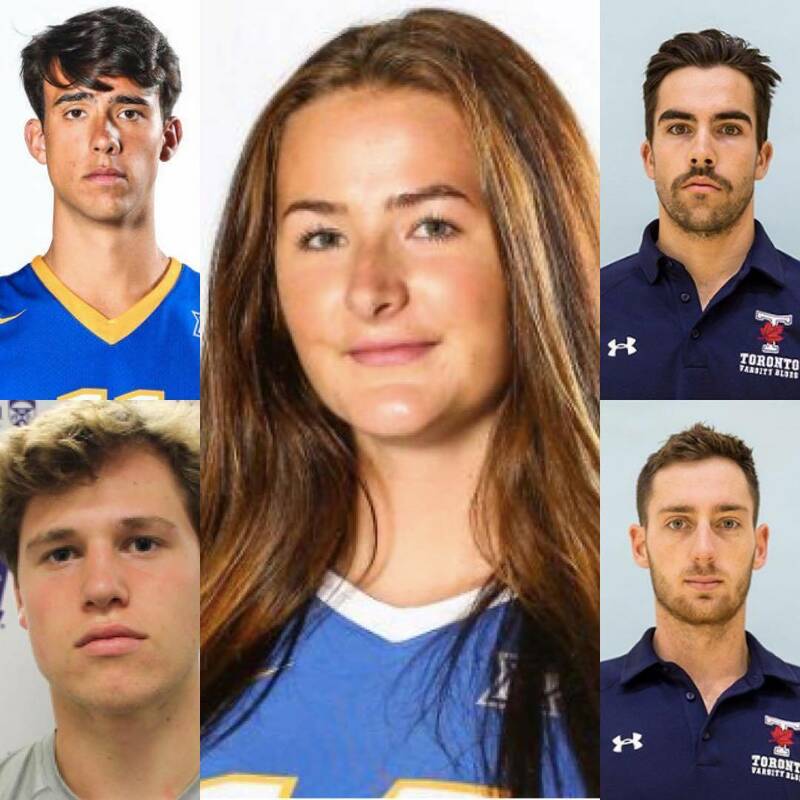 Chris, 23, graduated from the University of Toronto in grand style, being named to the OUA East First All-Star Team, along with U of T teammate Jordan Figuera, and Ketrzynski on the men’s side and Lauren Veltman on the women’s team. Meanwhile, Dale, 21, was selected to the OUA East Second Team after his stellar career with the RMC (Royal Military College) Paladins. Other Pakmen grads named were Navreet Suhan of Ryerson, Andrew Tauhid of York, as well as Jenna Woock (U of T), Cailin Wark (Ryerson) and Julia Wiercigroch (Queen’s) on the women’s side. Both Chris and Dale Towe spoke glowingly of their experiences while wearing the Pakmen colors. “I always watched Pakmen teams at tournaments and wondered what it would be like to play with them,” said Chris, who finally decided to take the leap in his 17U year. Chris, without even realizing it at the time, showcased his skills before his future coach when Pakmen traveled to Edmonton for the 17U Nationals. After his 18U season with Pakmen and upon graduating from Mayfield, Towe agreed to attend the University of Alberta and play under Danyluk. “I decided on U of A as they were known for having the best program in the country just winning the CIS national championship the year before. I have nothing but amazing things to say about my (three years) there. The dedication of the coaching staff, the atmosphere around the team and the talent and drive of the athletes, was nothing short of incredible. Reinvigorated, after his one and only season with the Varsity Blues, Chris hopes to delay his career as a mechanical engineer and continue playing. Chris is certainly no stranger to international competition, having represented Canada at the 2014 U21 and U19 world beach championships in Cyprus and Portugal, and the 2016 U21 championships in Switzerland. Despite Chris being in Alberta for three years, and Dale remaining in Ontario, the two brothers have remained close. Dale will always be thankful to Chris for giving him the needed push to join the Pakmen. And once under the guidance of Pakmen coaching, Dale’s game immediately took off. “Pakmen played an essential role in my volleyball career as it was the first and only club team I ever played for,” said Dale, who played for the club for three years. “Pakmen gave me some great coaching early in my career that allowed me to develop. I was also able to learn from my very talented teammates. Dale was an instant success for the Paladins, being named to the CIS All-Rookie team. 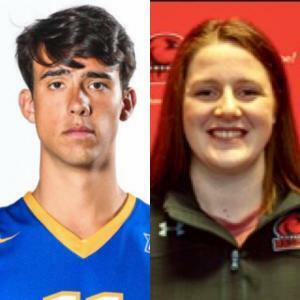 It was the first time any athlete from RMC was selected to a CIS rookie team. Dale remained captain for three years and has been named to the OUA East All-Star team each year. In his third year, Dale was awarded a scholarship that recognizes the top overall varsity athlete at RMC. And, in his four years at RMC, Dale played in 74 straight matches without ever missing a single set. Dale graduates from RMC with the all-time school records in points (885.5) and kills (773), and a single-game record of 31 points set in his final home game against Trent. Dale also represented the Military National Team for two years, winning gold at the World Military Championships in Amsterdam in 2017 and being named the tournament’s MVP. Last year, Dale represented Canada in Edmonton, and in October, Dale will attend the World Games in China. All great recollections to go hand-in-hand with his experiences with the Pakmen. “I had three great years with Pakmen, but there are a few that stand out,” said Dale. “In my first year, we traveled to Sherbrooke, and won the 16U National Championship. What’s unique about that win is that almost all of our teammates played in the final because coach Mike had so much confidence in us. This experience was surreal and one that I will always remember. Still, volleyball isn’t Dale’s greatest passion. One could say Dale’s head has always been in the clouds. Now, Dale will follow his grandfather, Lt.-Cmdr. Frederick Henry Scott Hooper, into the military. Dale will graduate in May with a degree in Business Administration, and will begin pilot training in Manitoba this summer as a Second Lieutenant in the Royal Canadian Air Force. And so, says Dale, will be his brother. Also closely following Chris and Dale will be their parents. “After Chris transferred to U of T, we had the opportunity to play each other twice this season, but Chris showed me whose boss as we lost to his team both times. Our parents had to cheer for both RMC and U of T at the same time so we’ll always remember those matches. It was cool to both be named as OUA East All-Stars this year. The following is a full list of award and medal winners.